A boot camp was organized on Thursday by the Jammu & Kashmir Entrepreneurship Development Institute (JKEDI) at Industrial Training Institute (ITI), Samba. 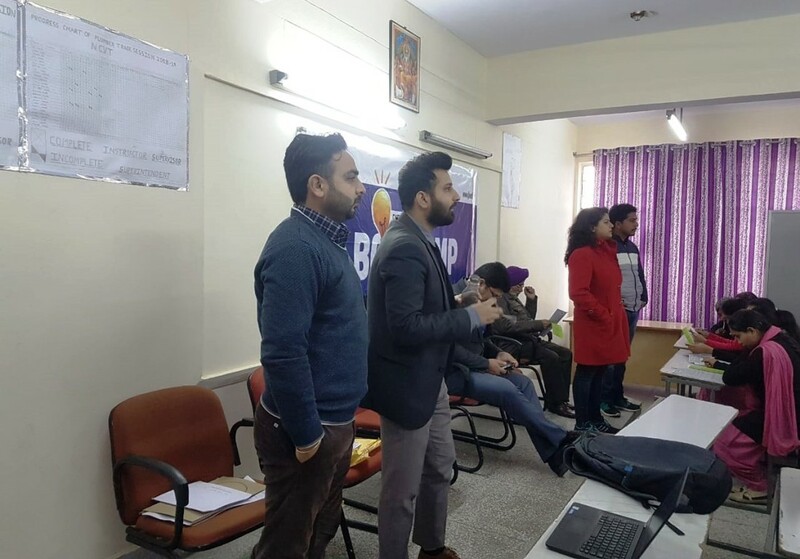 The JKEDI spokesman in a statement said this camp was the first among the series of 22 scheduled boot camps which will be conducted in all the districts of the State under the recently introduced Startup policy of the Government of Jammu and Kashmir for which JKEDI has been designated as the Nodal Agency. “The main objective of organizing such boot camps is to bring mass awareness about the Startup policy and to inculcate the spirit of innovation among the youth in order to give a flip to the conversion of innovative ideas into profitable business ventures,” he said. “The program was attended by 145 students and the faculty members of the ITI. Superintendent ITI, Samba, Baldev Singh, Project Manager JKEDI, Syed Firdous, JKEDI District Nodal Officer Samba, Divya Sharma and Assistant Faculty JKEDI, Vijendra Singh Jamwal along with Ernest and Young Consultant (E&Y), Kanav were present at the occasion,” he added. “During the program, the members shared their views on the need of Startups in the present times and a PowerPoint Presentation was also presented for motivating students to pursue innovation and technology-driven entrepreneurship as a career choice,” the spokesman said. On the occasion action plan of the Startup Policy was also shared with the participants that offer handholding support, funding support, and incentives, industry-academia partnership and incubation etc. “J&K Startup Policy-2018 was introduced in September 2018 and under this initiative, the Government of J&K envisages to build a robust startup ecosystem in the State to nurture innovation and providing opportunities to budding Startups,” said the spokesman.